When it comes to party dressing, it's best to not leave jewellery as an afterthought. The right necklace or earring can totally transform an outfit and is the perfect way to make that little black dress you've been wearing every Christmas feel a little more special. The 25 pieces we've found are so spectacular that it's worth basing your entire outfit around these alone. 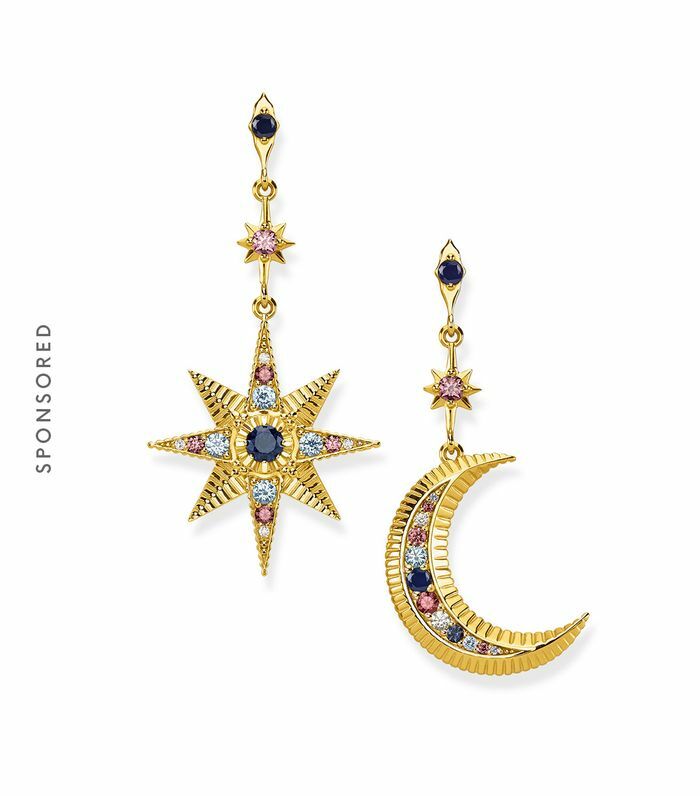 In particular, we love Alighieri's chunky pearl pendant, Roxanne Assoulin's rainbow-coloured crystals, Thomas Sabo's star and moon gem earrings and the OTT rings from Gucci. Hair slides are also one of the best accessories for party season, and we love the statement slides from Gucci, Shrimps, Lelet NY and more. When it comes to trends, the general rule is the more crystals and sparkle, the better. The aim is to outshine your Christmas tree. Keep scrolling to see and shop our edit of the best party jewellery. These would look amazing with a black velvet dress. Roxanne Assoulin is one of our new favourite jewellery brands. Crystal chandelier earrings have had a comeback this season. A beautiful pearl ring under £200. You won't need any other jewellery. Shell jewellery is still trending. The multicolour gems are so pretty. The shell charms make this perfect for summer too. This is a simple bracelet for minimalists out there. Your teenage self would love these. Charm bracelets are really popular again, and this is one of our favourites. Uterqüe is one of our go-tos for party jewellery. Wear with jeans and a T-shirt and you're party-ready. Two people in our office have this necklace. This is totally OTT, but we love it. Zara creates some of the best jewellery on the high street. There's a matching bag to this clip too. We told you crystals are back.